It’s been a year since our Sales and Marketing associate, Ashley Neely BSc, SQP joined the Bluegrass Horse Feeds team. Let’s look back at her highlights throughout the year and plans for 2019. Settling into my current position was quickly done before the plans for Bluegrass Horse Feeds 20th anniversary started. It was a great year to start, learning lots about the history of the family run business and giving me a unique experience to get a greater in-depth relationship into our riders and trainers. We produced “The inside scoop” magazine as part of the celebrations, which was launched at Balmoral show in May. We wanted our customers to get a feel of the people behind the brand and give an insight into the story of Bluegrass Horse Feed. Throughout the year there were many highlights for me. 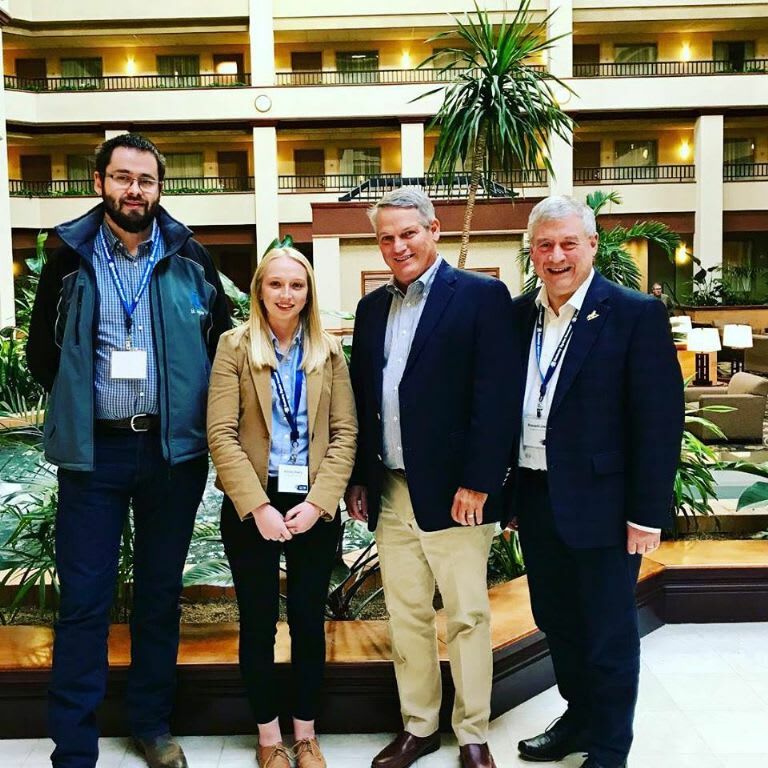 My first year working at Dublin Horse Show was exciting, we were lucky to invite Kentucky Equine Research feed advisor, Catherine Whitehouse, over to join us for the week. It is always a great show with some fantastic riders and horses, but particularly so this year being able to cheer on our sponsored riders and catch up with customers. As a part of the Bluegrass team there has been so much to watch and so much to be proud of. In 2018 we have fed the winning horses in four grand nationals as well as countless other winners at all levels of the sport. I have been thrilled to work with over brilliant long-standing sponsored riders, as well as those new to our brand ambassador team. My congratulations go out to our trainers and riders, I can’t wait to see what 2019 has in store for you all. The biggest highlight to my year had to be of course our trip to Kentucky Equine Research. I was privileged to be brought along to the Kentucky Equine Research conference, where I met some fantastic people, saw the research centre and was able to finally meet Dr Joe Pagan. My week was finished off with a trip to the Breeders Cup. It was an unforgettable experience and I brought home as much knowledge as I could fit in. My plans for 2019 are exciting, I have a lot more to learn from Kentucky Equine Research and we are excited about some Bluegrass products and campaigns we already have in the early planning stages, including the Geoff Billington masterclass on February 2nd, which is sure to be an entertaining night. So be sure to watch this space and keep following for an exciting year ahead.